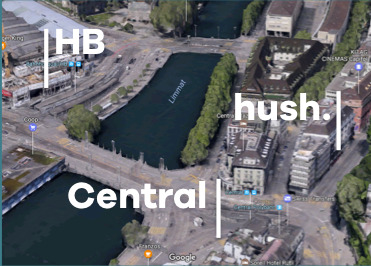 In the name of the Azure Zurich User Group (www.azurezurichusergroup.com) and .NET Day Switzerland (www.dotnetday.ch), we are organising a .NETConf.local event on 20.10.2017 in Zürich! If you are interested in .NET Core, Xamarin, Roslyn, etc…, join us and register on our meetup page. The event is open to anyone, held in English and free of charge. We are very happy to announce our DotNetConf.local & Pizza & Beer Night! 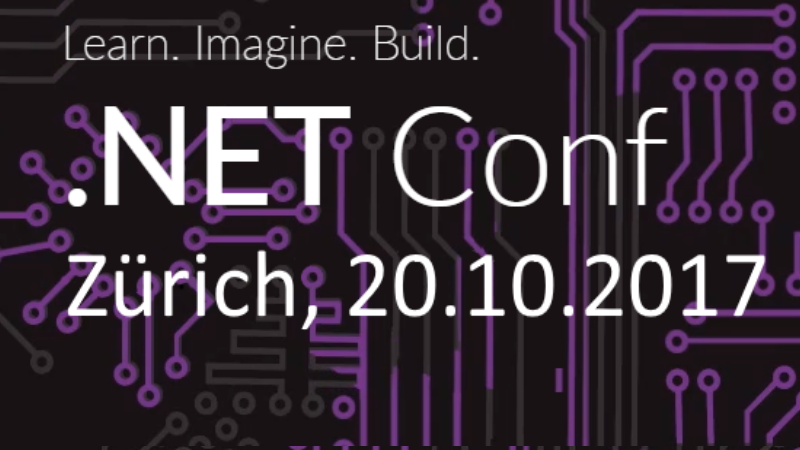 We are organizing the .NETConf.local event for Zürich in collaboration with www.dotnetday.ch on the 20th of October 2017! We have an exciting agenda and there will be Pizza and Beer! Make sure you register via our Meetup page! It’s fair to say that most software developers value very highly the productivity boost that comes with being able to work in a development environment that provides a real-time feedback loop. Historically, C# has been far from that – as typically developers had to rebuild their projects after every change, and the process of finding issues in the code has always felt extremely heavy. Roslyn compiler and the latest Visual Studio introduced a lot of exciting tools, improvements and APIs that help in this area. In this talk, we will look at various techniques to leverage these interactive capabilities. We’ll look at the REPL and Interactive Window, scripting APIs, live Roslyn analyzers, a much improved Edit-and-Continue support and interactive testing, all of which will hopefully help your development workflow be much more productive. Filip is the co-owner of the Scriptcs project, a Microsoft MVP, popular ASP.NET blogger, open source contributor and a member of the ASP.NET Web API advisory group. Specializes in ASP.NET Web Stack and modern Microsoft web technologies. Experienced in delivering robust web solutions in corporate context, worked on projects in many corners of the world (Canada, Switzerland, Finland, Poland, Scotland). Follow him on Twitter @filip_woj. Write native apps for iOS, Android and Windows with C# and all of it’s goodness. Learn all about the latest Xamarin Features and Visual Studio goodies. See how you can leverage your existing C# skills to create iOS, Android and Windows apps. Share your Code between platforms and runtimes with the new .Net Standard 2.0 libraries and boost your productivity by using one of the many ready to use extensions from the Xamarin community. During this session we will learn about the Xamarin platform, useful SDKs and how to boost your mobile productivity with Visual Studio. Mark Allibone is a qualified expert and enthusiast for Microsoft / Xamarin mobile technologies at Noser Engineering. He is an Ambassador for Microsoft Switzerland. As The Head of Mobile he supports many well-known companies with their mobile ambitions in the fields of healthcare, insurance, transport and consumer based apps that integrate seamlessly with devices and cloud or on premise based back ends. With a passion for efficient cross platform code and a heart for the user, Mark does not solely aim to build functionally complete apps, but apps that users like to use during their day. You can find him on twitter as @mallibone. Modern REST-APIs are at the core of today’s technology and distributed systems. In this session, Fabian explains how universal cross platform web APIs are built using the latest .NET Core technologies. After an introduction to the principles of REST, we dive into the technical details and explore how ASP.NET Core & Visual Studio 2017 are used to build the APIs of tomorrow. Fabian Gosebrink is a Microsoft MVP and a passionate web developer using ASP.NET/ASP.NET Core and AngularJS/Angular. He supports enterprise customers as a professional full stack software engineer, consultant and trainer. 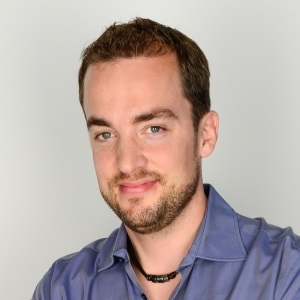 He is a speaker at international conferences, the founder of .NET-Day Switzerland, Offering Solutions Software and Co-founder of SwissAngular (www.swissangular.com). He is very active in the community and is an administrator of the largest German C#-Community, www.mycsharp.de.